This was an enchanting book. It’s a novella length story but it had enough depth to make it a most satisfying read. Once again this author has done what she has already proved very good at. She has taken a couple of minor characters from a previous book – in this case from Champagne for Breakfast – and told their story. And, as before, it works beautifully. The main characters of academic Alex and former stockbroker Jack could easily have been stereotypes – however, they are far from that. Both are seeking new paths following traumatic events in their personal lives and both are rather lost and lonely. Jack, although displaying lots of masculine traits, also has a caring and gentle side – as shown, for example, by his care for his elderly clients. And Alex who is a self-sufficient, hard-working and professional university lecturer also finds time to be a good aunt to her young niece and a good friend to her elderly neighbour and to a former colleague. But when Jack and Alex first meet it seems unlikely they’ll have any sort of romantic future together despite a reluctant attraction between them. They both have other seemingly more important things going on in their lives which suggest a relationship isn’t going to happen. And it’s this will-they-won’t they that keeps the reader hooked. The setting of the story on Australia’s vividly described Sunshine Coast added even more interest for me as a UK reader. And as to the significance of the Brahminy in the title – well, it’s a bird – specifically, a red-backed sea-eagle of the kite family – and which is native to Australia. But you’ll have to read the book to understand its lovely, romantic significance. And I recommend that you do. Drawn together by fate, can this midlife couple find happiness? University lecturer Alex Carter is devastated when her partner ends their long-term relationship. Accepting a position at a university on Queensland’s Sunshine Coast, she plans to spend time with her family, renovate her beach cottage and forget all about men. But, as she is making a new life for herself, the past rises up to throw a spanner in the works and she has to make a determined effort to reset her compass. Shocked by a colleague’s suicide, Jack Russo leaves his high-powered city career and travels north, settling in a coastal town in an attempt to simplify his life. Yet, even here, he discovers, everything isn’t what it seems. When his fledgling handyman business appears to be in danger of collapsing, he is forced to make some hard decisions. A feel-good story of discovering that there can be second chances if only you can learn to trust again. A Brahminy Sunrise will be published as an ebook on 15th January 2019 and it can be pre-ordered here if you’re in the UK or from the online store local to you. I received a free ARC copy of this book with no obligation to review. My name is Anne Stormont. I’m an author and storyteller. I can be a subversive old bat but I hope I also maintain a kind-heart. I mainly write contemporary, romantic fiction. I have also written for children, as Anne McAlpine. 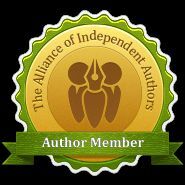 Here you will find my writing news, occasional posts on good books I’ve read, and some interviews with fellow authors. I also sometimes post my reflections on life in general. All writing and images are © Anne Stormont unless otherwise stated. See MY BOOKS page to discover more about this book. Click on cover image to buy. Followers of Put It In Writing should note that they may unsubscribe at any point from following the blog and website. WordPress does not allow me access to your email addresses in order to protect your privacy.